Car Wrap It Up in Houston! You’ve heard that more people view car wraps than any other form of advertising. You have a product, business, or service you want to advertise and a car, truck, bus, or boat… so go ahead, wrap your car with Houston Sign Company! Everywhere you go, take your message with you. 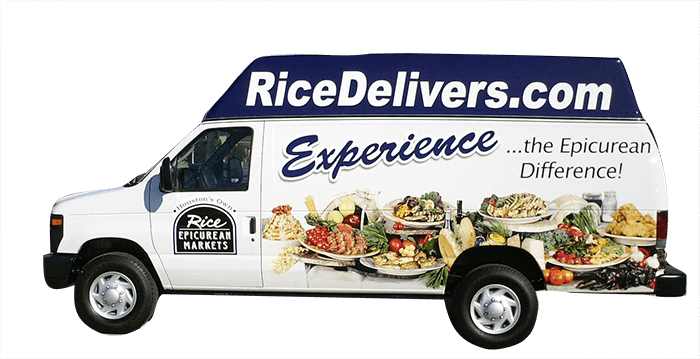 Each time your commercial vehicle wrap crosses town, drives a truck route, parks in on the street, or even goes for a sandwich, people will take notice. With car wrapping, you can launch national ad campaigns, brand your fleet of trucks, offer a local service, or announce a new product. 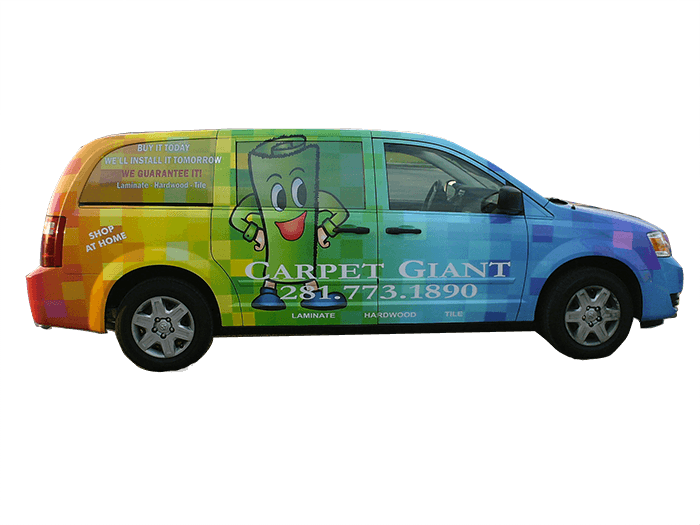 Make An Impression With Houston Car Wraps & Graphics Advertising! 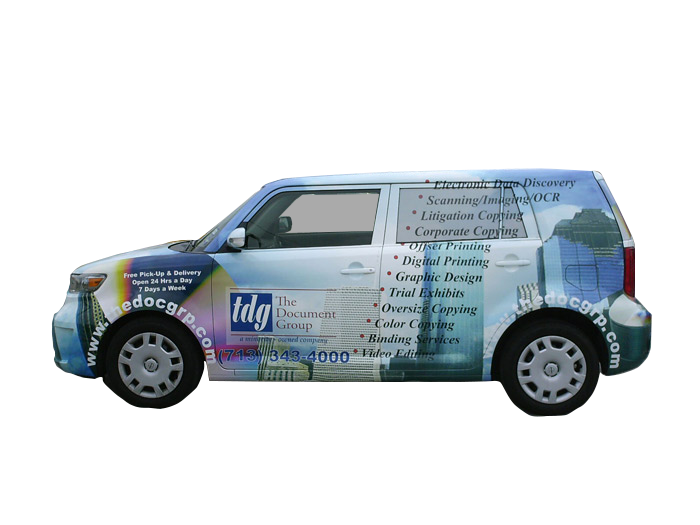 Houston Sign Company offers full-service car wraps in Houston, TX and the Gulf Coast areas. We will work with you to brainstorm ideas, create themes, choose colors, fonts and the design elements that grab attention. 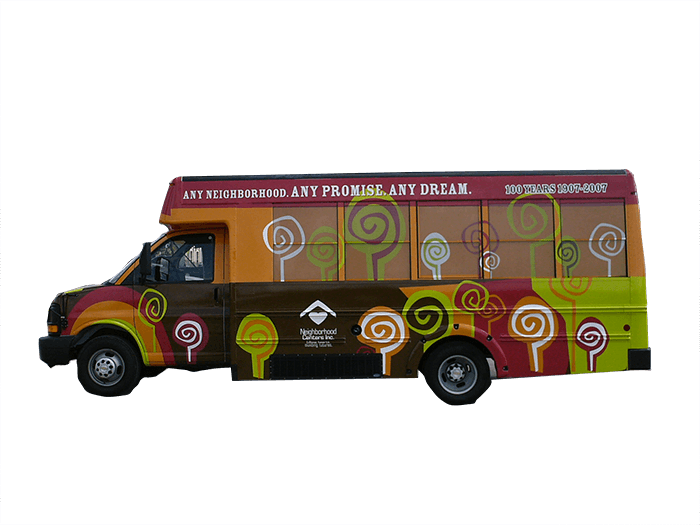 Our in-house auto graphic design team will create images and messages that have an impact, while customizing for your product, service, and vehicle. We print on the highest quality materials, so that installation and removal are effortless. All Houston Car Wraps even come with a 3-year warranty. Installations occur in an indoor, secure environment so you can be confident that both your car and your message are being handled by experts. 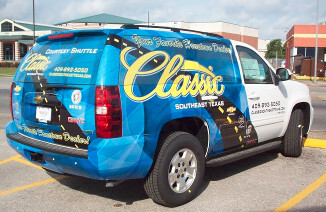 Houston Sign Company has been creating lasting impressive vehicle graphics and car wraps for over 60 years. As your car wrapping needs change and grow over time, you can count on us to deliver the quality we are known for. We have earned a reputation for reliability and customer service, which we offer from the very first phone call. Every aspect of wrapping your vehicle is completed in-house, customized for your needs, and produced with premium materials. Call us or request your free estimate for your vehicle wrap in Houston today!